I love all butters associated with fall. 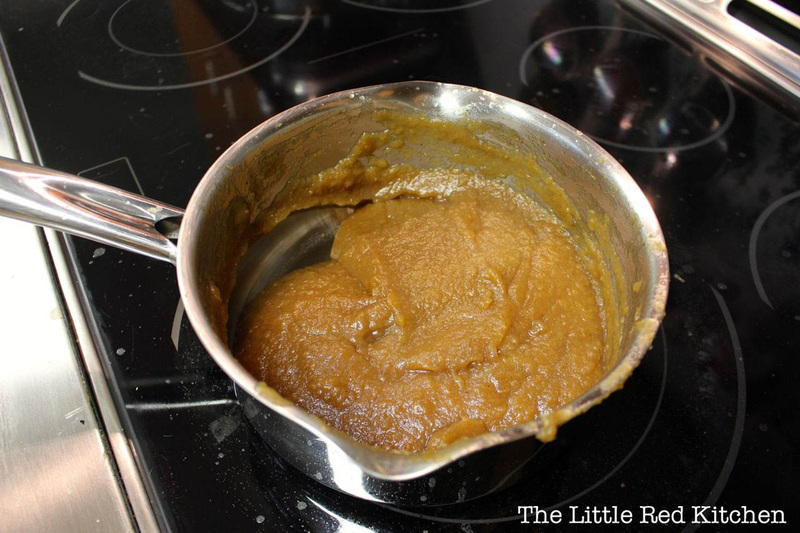 Regular butter, pumpkin butter, apple butter… especially apple butter. We make an annual trip to the National Apple Harvest Festival in Gettysburg, PA, where we consume all things apple (apple fritters, apple pie, apple sausage, apple beer…just to name a few) and load up on jars and jars of apple butter.It’s officially been fall for over a week now, and I hadn’t got my apple butter fix yet! Armed with two bags of cheap apples from Walmart (okay, this recipe would be much better with fresh, local apples), I knew I could figure this out on my own. And I did! And it is delicious! Many recipes call for applesauce to start… and while that would be easier, why not use the plentiful fruit of the season? I used a type of apple that I’d actually never heard of: Ginger Gold. They’re an excellent mix of tart and sweet, with a little snap of ginger at the end (hence the name)! 1. This recipes is SO easy, but without a crock pot (mine died a couple weeks back, devastating) it can be time-consuming (think 2-3 hours). In our case, we were having a lazy Sunday around the house, so it worked out well! 2. 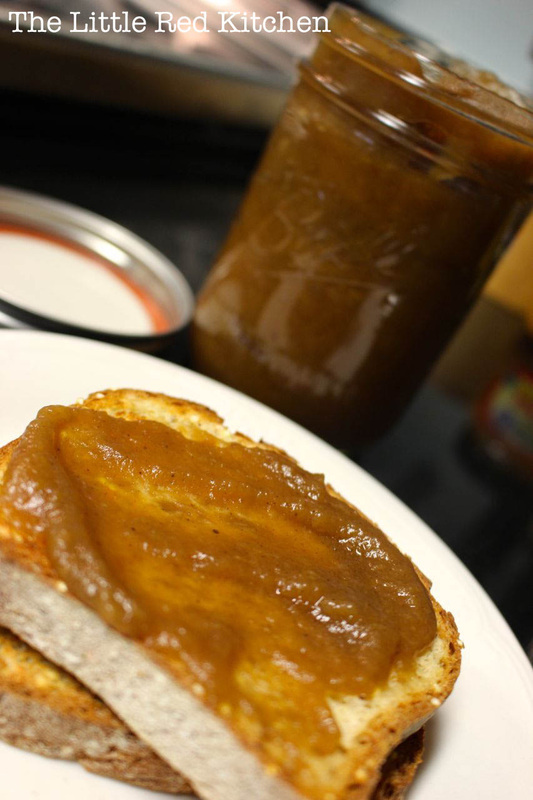 I like my apple butter with much less sugar than I’ve been seeing in other recipes, and I also like it more spiced. What you’ll end up with, with this recipe, is a rich, spicy apple butter that takes more like apples than sugar! 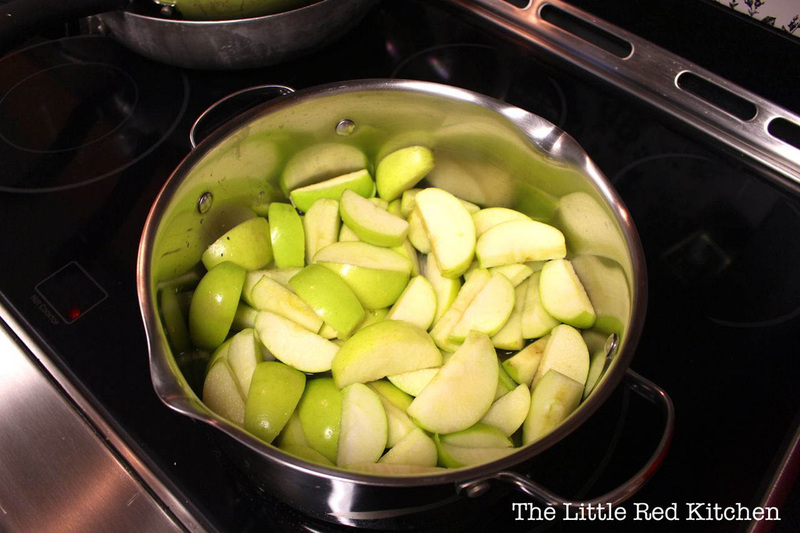 Step 1: Put your prepared apples in a large pot and pour the water overtop. Step 2: Over medium-high heat, bring to a boil and then reduce to a simmer. 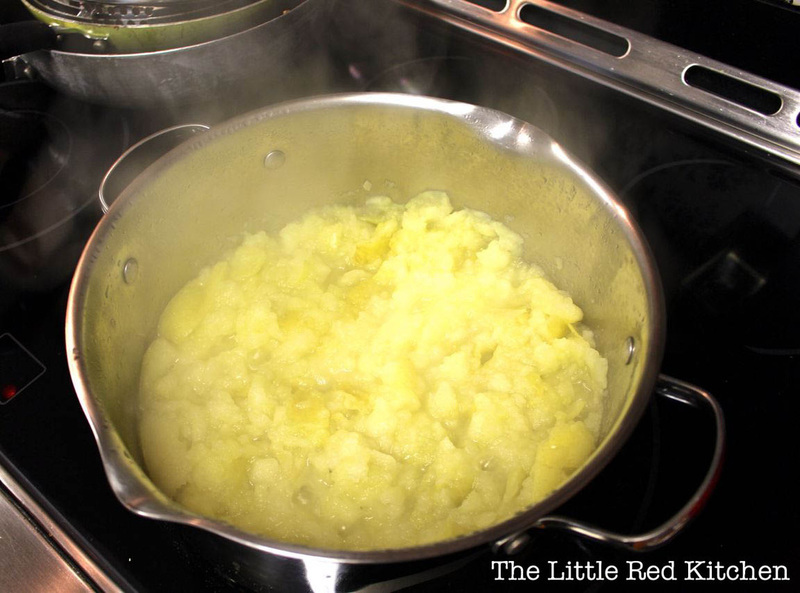 Cook until the apples soften enough that they are pretty much like apple sauce. You can use a potato masher (like I did!) to speed up this process, just be careful! 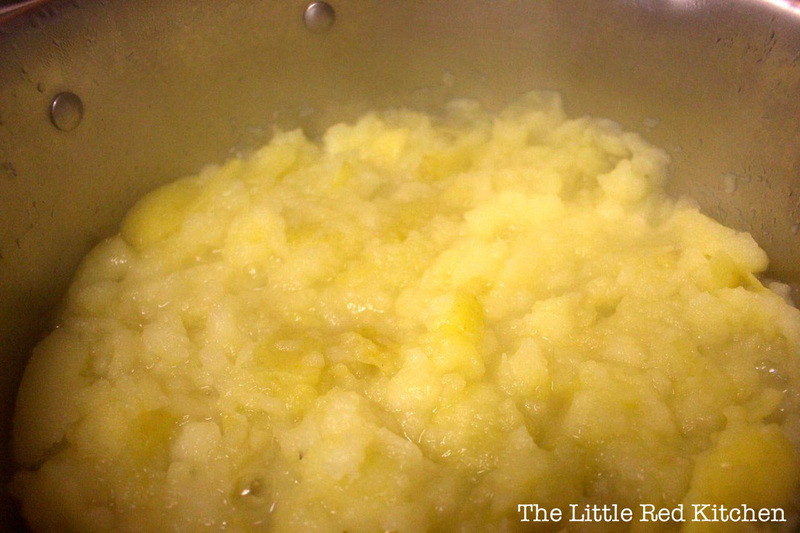 Step 3: Once you have your “applesauce”, remove it from the heat and allow it to cool slightly. When blending, you don’t want to use boiling or hot liquids if you can avoid it. 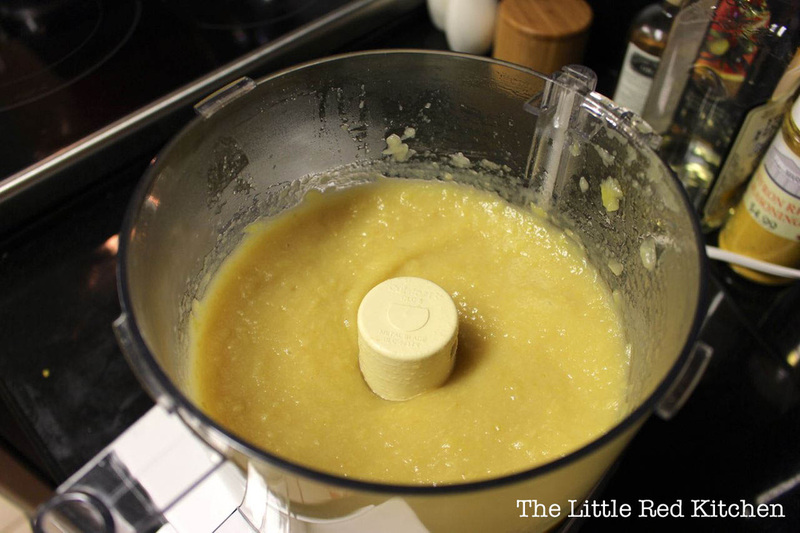 When it’s cooled, throw it in your food processor and puree until smooth. 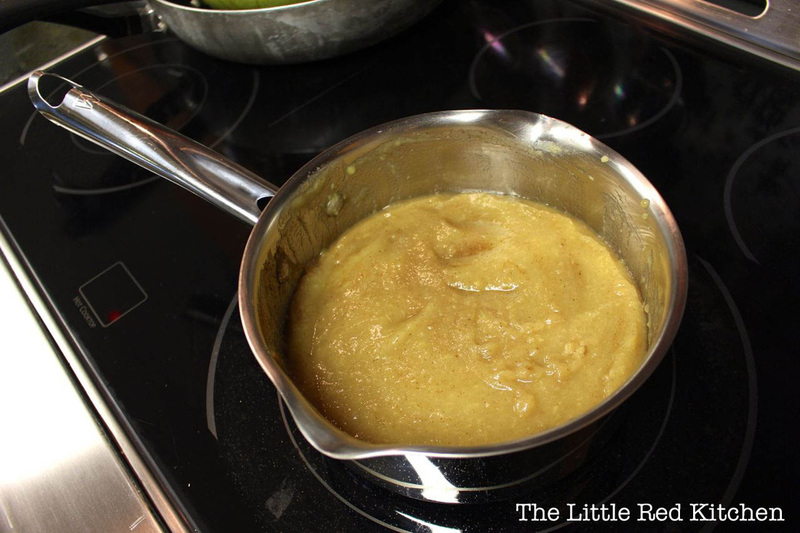 Some recipes call for straining the “applesauce” through a fine mesh sieve to remove any pulp or skin from the apples. I really like the addition of the flavor from the skin (not to mention the vitamins! ), so grinding it up works just fine for me! 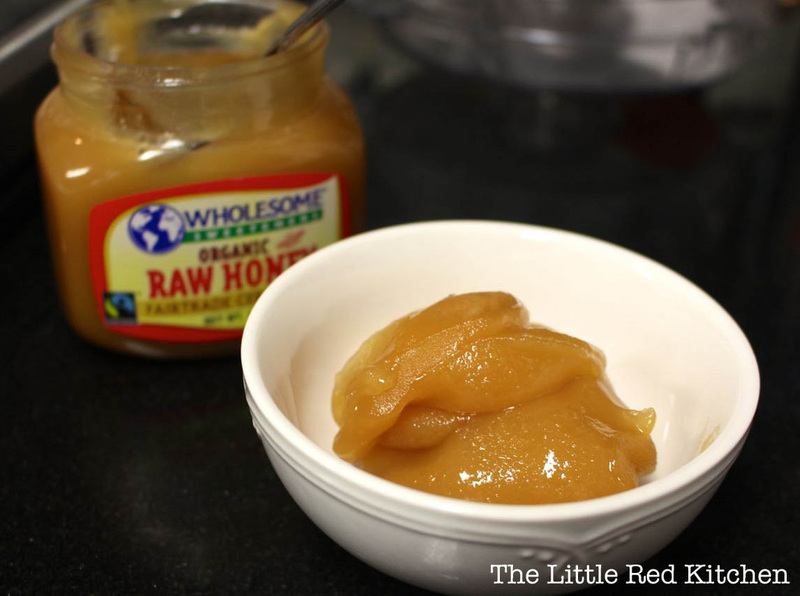 If you stop now, you’ll have your own homemade applesauce!! (Healthy and delicious! )Step 4: Transfer to a medium saucepan, then add in your honey (microwave for a few seconds if you’re using raw honey, like me, to soften) and spices. When you’re finished, stick in a clean jar. This will keep in the fridge for a couple of weeks (if it lasts that long! ), or you can freeze it for longer storage.